Enroll in Amazon Smiles: Amazon.com has a program in which a percentage of each purchase is paid to Our Savior Lutheran School. Its easy to enroll, simply go into your account on Amazon, find Amazon Smiles and enroll for Our Savior Lutheran School (Pagosa Springs, there are several eligible Our Savior Lutheran sponsors). Each time you make a purchase at Amazon, a portion of that purchase is donated to the School, and at no cost to you. Enroll your City Market Card: Like Amazon Smiles, each time you make a purchase at City Market, a portion of your purchase is donated to the School and, like Amazon Smiles, this is at no cost to you. If you have previously enrolled your City Market Card, you must remember to re-enroll your card annually. You can enroll on-line or by visiting the customer service desk at City Market. Consider a continuing donation to the School: Sometimes it is easier to make a $5.00, $10.00 or more donation to the School a month than one larger annual donation. Check with your bank about setting up a plan to deduct from your account and have it transferred directly into the School’s checking account. 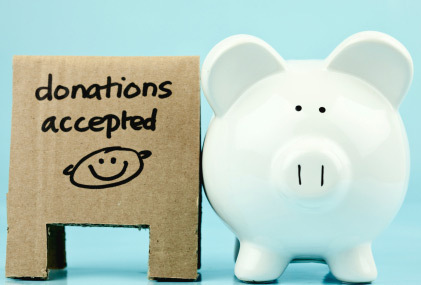 Currently we have donations being made from Thrivent accounts into the school’s checking account and many banks have a method of making such donations. You should consult your tax accountant or attorney about the tax deductibility of these donations. Each dollar given to the School supports programs like the lunch program that provides quality, nutritional meals to children attending our School. If you have friends or family members that would like to help tell them about these three opportunities.